With this rhyming activity game you can do the jigsaw and have a blast, and learning to rhyme will follow that fast! 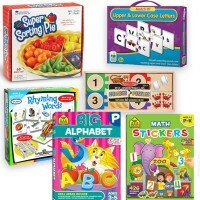 Matching puzzle games from Ryan's Room educational series are great learning tools. 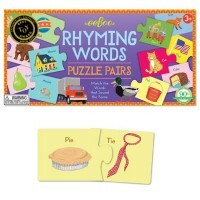 Rhyming Words Matching Puzzle Set features 27 puzzle pairs to complete. 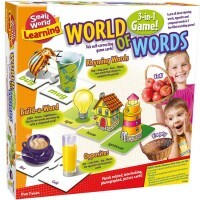 See and read the word on a picture and find another one that rhymes with it. 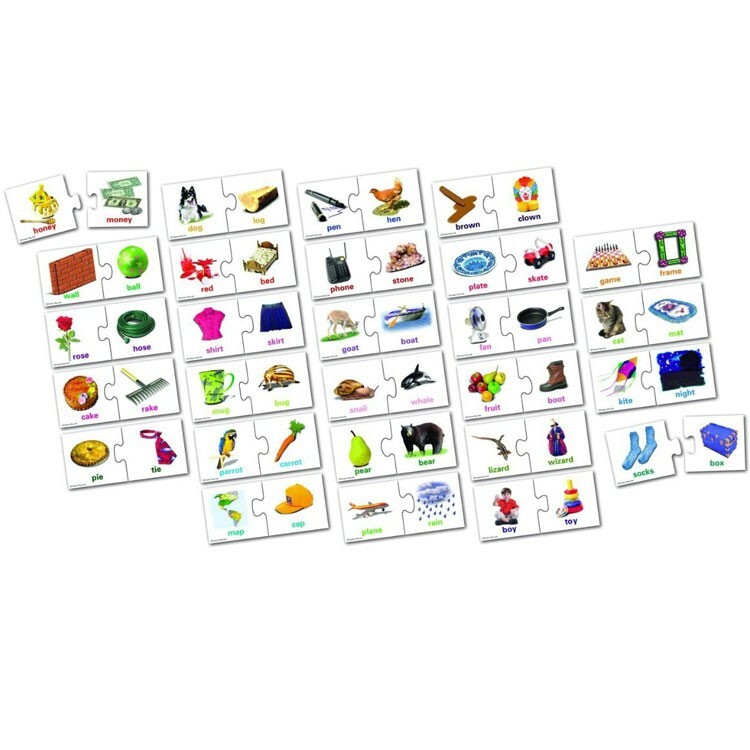 Do the puzzle pieces fit together? Congratulations! 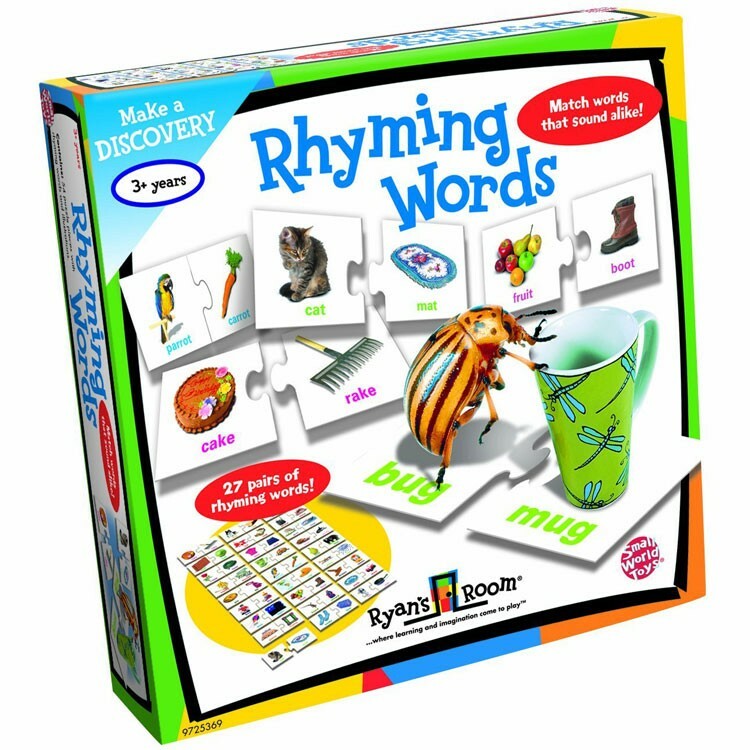 Your rhymed your first pair correctly! 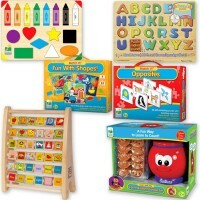 With these Educational Toys Planet's self-correcting matching pairs, learning to rhyme will take no time. Just pick up a picture of a cat and match it to a mat; and then the game will attach to a frame; and the cake snaps into the rake! 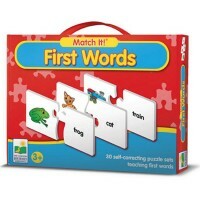 Rhyming Words Matching Puzzle Set helps improve your skills at language arts; for vocabulary and thinking, it's the place to start. 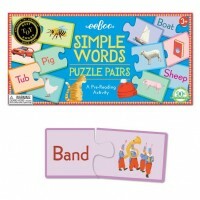 You can do the jigsaw and have a blast, and learning to rhyme will follow that fast! 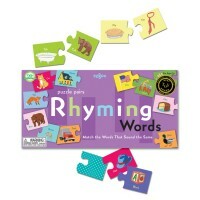 Write your own review of Rhyming Words Matching Puzzle Set. 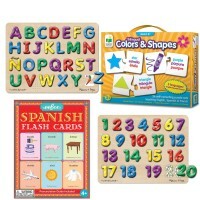 Rating: 5 by Sonja, LA This is another great teaching tool to help prepare pre-school children for kindergarten. 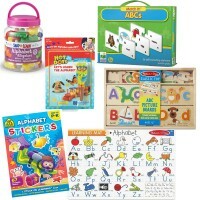 Learning can be fun when parents and grandparents spend precious time with their litle ones.